Hi Chris here today sharing this layout featuring large stamps as a focal point on my layout. I started by cutting 3 squares 3 inches x 3 inches. I stamped images from the Vintage Fashion Collection. I stamped the image a little off center to create some visual interest. 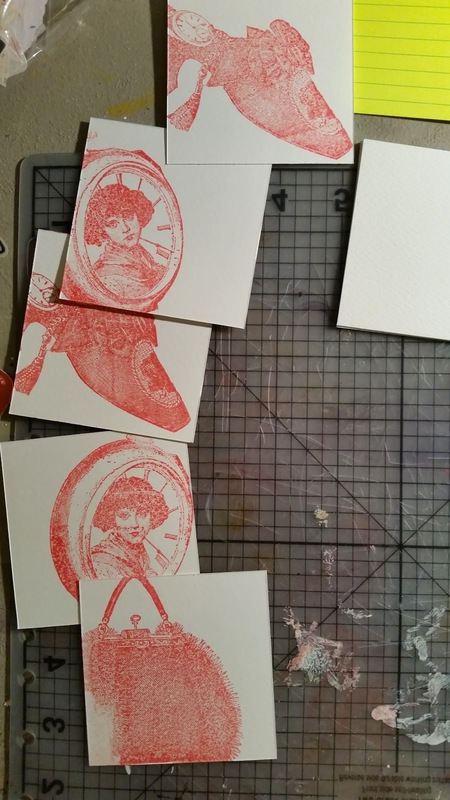 As you can see I stamped a few extra images, but I only used 3 on this layout. 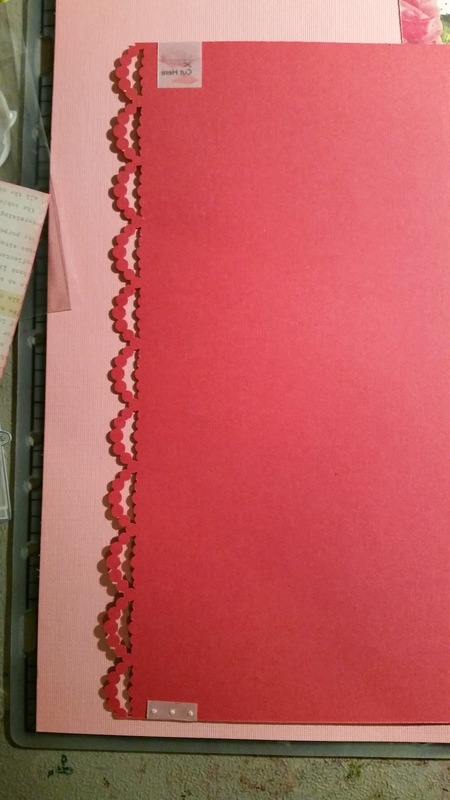 I cut a piece of patterned paper 6 1/4 x 11 and distressed the edges using the distressing tool. I folded down the upper right corner and then attached the piece to a cardstock base. I then cut a piece of cardstock to 5 1/2 x 10 1/4 inches. I used a border punch to punch the left edge of the piece. I then cut a 1/2 strip of vellum and embossed it using an embossing folder. To create the "continuous" embossing I cut a slit in the top of my embossing folder to allow the strip to slide through. I traced the bow template onto vellum and cut it out and then embossed the pieces before assembling the bow. I embossed a larger piece of vellum to use as my photo mat. 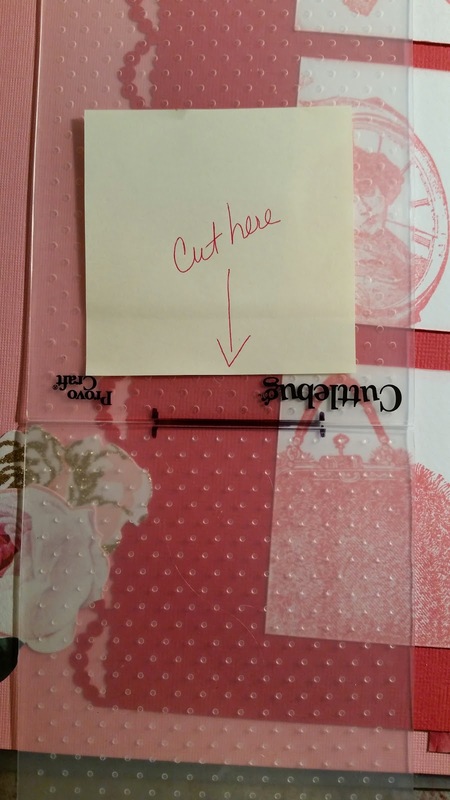 Adhering vellum is tricky so I attached the vellum strip to the back of my cardstock. I adhered my stamped imaged to the right of my cardstock and placed the cardstock on my patterned paper. I added my vellum matted photo, tucking some journaling in behind the photo. I added several coordinating die cuts to and my sticker title to balance out the page. 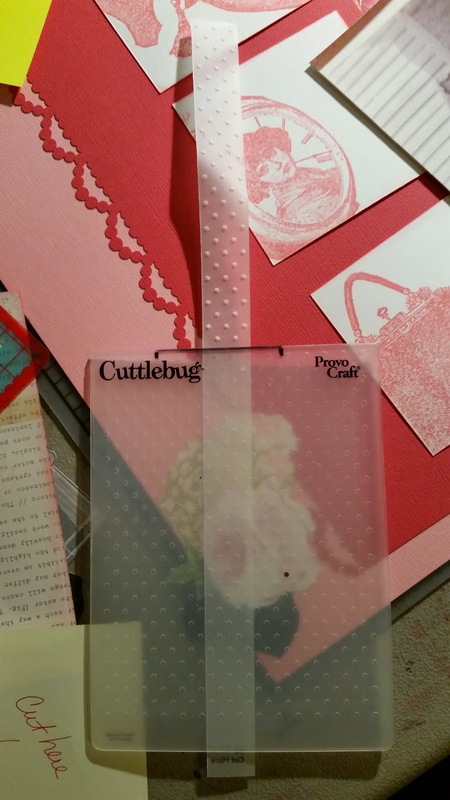 I hope the finished project inspires you to add stamps to your layouts.